grinderPUNCH High Power Quality readers are inspired by classic styles, to give the best of both worlds in function and style! These Retro Wayfarer 80's style glasses have spring hinges, which means they hyperextend. Weather you have a slim face or wide face, it'll stay on! Passed FDA inspection of shatterproof impact resistant lenses! UV400 Protection. Standard Sized Reading Glasses - One Size Fits Most! Width: 5.4 Inches, Height: 1.75 Inches, Lens Width: 1.9 Inches, Arms: 5.5 Inches. Hyperextending Arms - Spring Hinge for comfort! 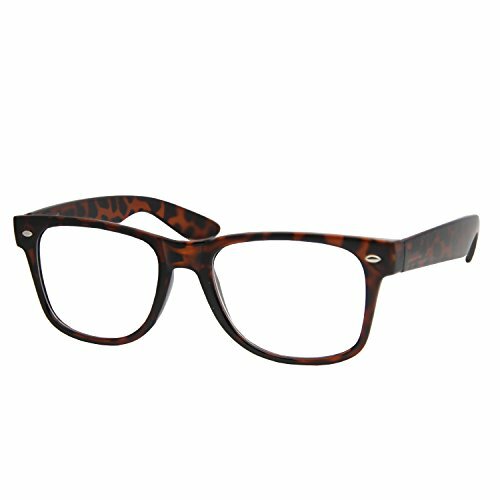 Classic styling allows for both Men and Women to enjoy these reading glasses and look great! If you have any questions about this product by grinderPUNCH, contact us by completing and submitting the form below. If you are looking for a specif part number, please include it with your message.